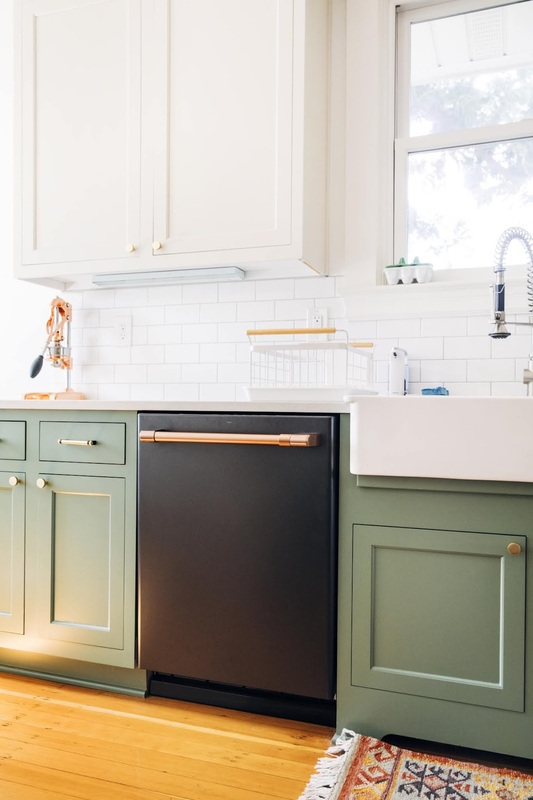 This post was done in partnership with Café Appliances, who sponsored this post by providing the compensation and appliances to make it happen! I'm incredibly lucky to be a member of the Café Collective, a group of nine women with impeccable style and expertise in home design, fashion, lifestyle, and food. Be sure to follow along the next few weeks to learn more — as always, all thoughts and opinions are my own, and thank you for supporting the sponsors that make Hummingbird High possible! At the start of the year, I ran a reader survey asking folks about the kinds of content they wanted to see on Hummingbird High. While everybody wanted more recipes — both sweet AND savory, which is exciting! — the second most requested content category was Behind-the-Scenes content. Folks wanted to see more photos of how the recipes actually came together, as well as more information about what happens before and after the development of a recipe. 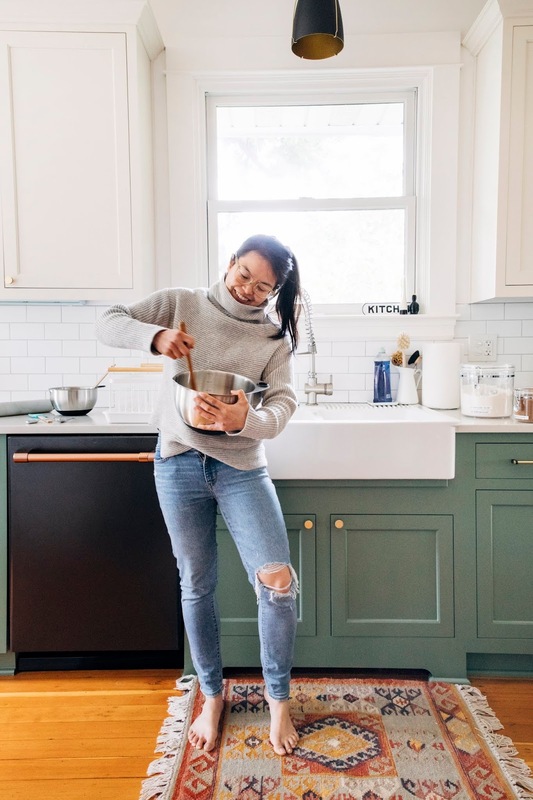 And while I'm currently working on a post answering all your questions like "How do you develop your own recipes from scratch?" and "How did you learn how to style and photograph food? ", I thought it would be fun to start with what happens AFTER a recipe is developed, baked, and photographed for Hummingbird High. First of all, there's no standard amount of times I test recipes for Hummingbird High. On average, it took about 10 to 12 iterations per recipe until I was satisfied with the recipes for my upcoming cookbook, Weeknight Baking. For blog content, I'm a little bit more lax, but it can still vary and really add up. Because unlike with cooking (where you can get away with making a ton of changes to the recipe all at once), baking requires WAY more precision. Adding an entire egg or even a few half teaspoons of baking powder or baking soda can have dramatic effects on a baking recipe, so it's best to isolate all the changes one by one. That means that every time I bake something, I make just ONE change to the recipe to keep track of what happens! Sometimes my changes to the recipe are major, like adding more butter or eggs because I thought the initial recipe was too dry. Other times, the changes are much smaller, like increasing the original recipe's salt content by 1/2 teaspoon because I thought the previous version was too bland. But at the end of the day, all of this translates to a LOT of clean-up — for every recipe you see on my blog, there are probably several hours of washing dishes behind each one! 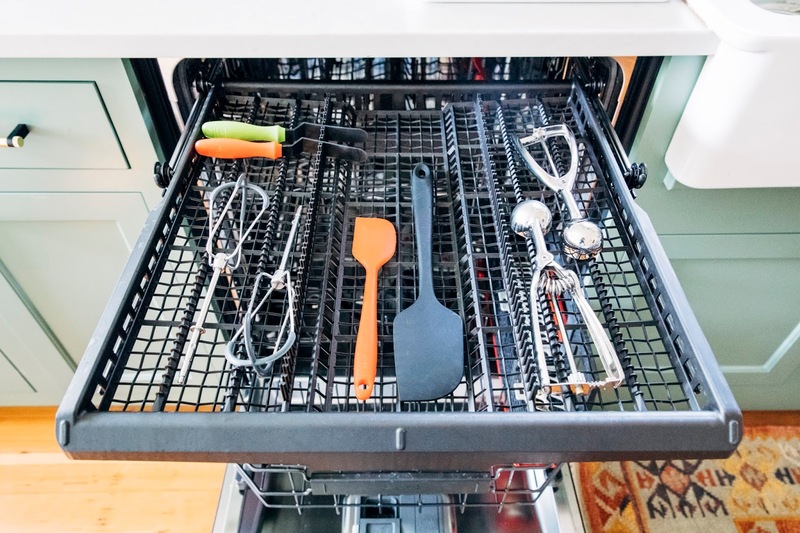 My Café Appliances dishwasher has two dedicated spaces for cutlery: a standard cutlery basket on the bottom shelf, and a removable third rack dedicated entirely for extra cutlery. The third rack has helped me through many dinner parties, providing the extra clean-up space needed after entertaining a bunch of our friends. As for the rest of the time, the third rack is primarily dedicated to my baking tools. I use it to wash more obscure baking tools like cookie dough scoops, overly tall rubber spatulas, small piping tips, and more — because the tools lie flat on the third rack, you don't need to worry about any of them being too tall and hitting the cleaning fan (like you otherwise would if you were placing them in the cutlery basket). It really is a savior. 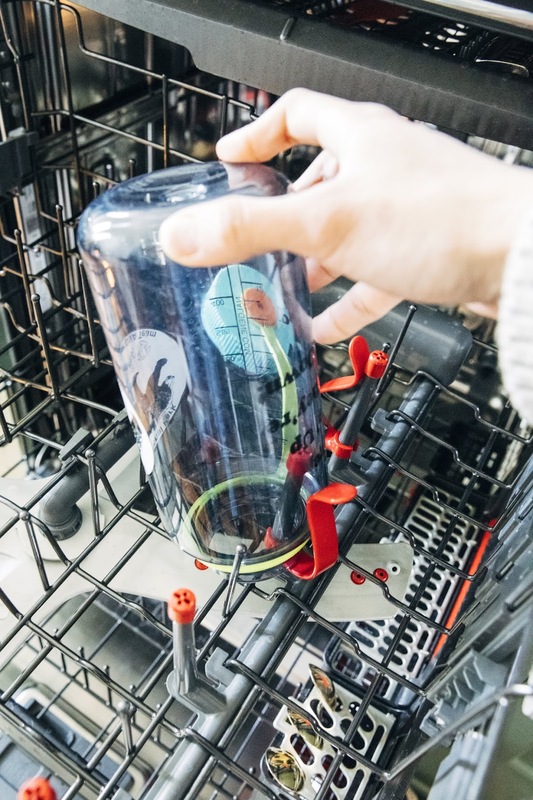 In addition to the cutlery tray, the second rack of my Café dishwasher has FOUR dedicated water jets to help clean extra-tall glasses and water bottles. I LOVE this feature, mostly because in order to work off all those taste tests from my baking experiments, I go to the gym every day. Washing my water bottle to keep up with my workouts has always been such a chore — I hated hand washing it and felt like I could never get it clean enough. All my problems were solved by this feature; there are even little handles to keep the bottles upright and stable! 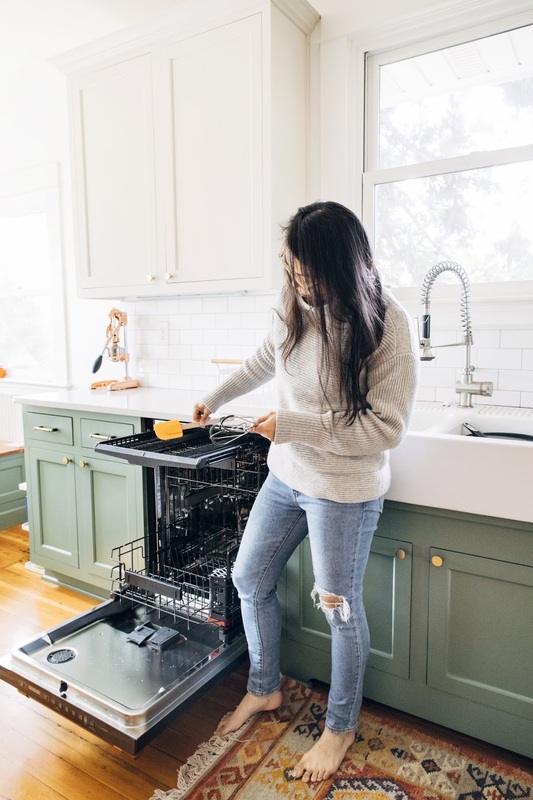 All Café Appliances offer WiFi connectivity; what that means for my dishwasher is that I can use my phone to monitor what part of the cleaning cycle my dishwasher is in, and how much time is left until my dishes are ready. This is especially helpful because the Café dishwasher is SO quiet, it can be hard to tell if the dishwasher is running or even on in the first place! The app eliminates any guesswork, telling me exactly how much time I have left until all my dishes are so fresh and so clean (clean). 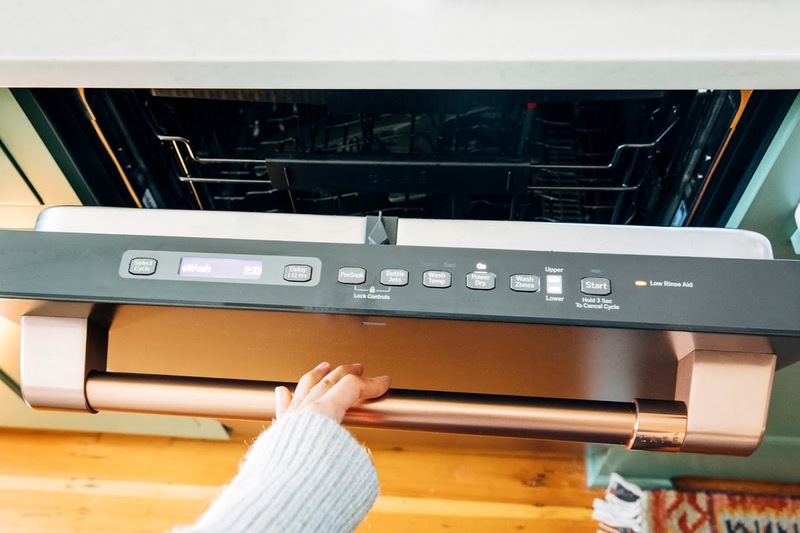 All these nifty features seem like they're going to come at a high cost, but here's a secret: the best thing about Café Appliances is that, despite looking (and FEELING) like a high-end professional appliance, their price ranges are totally affordable. And if you do a lot of cooking and cleaning like me, it's totally worth the money to spend it to help you out in the kitchen. 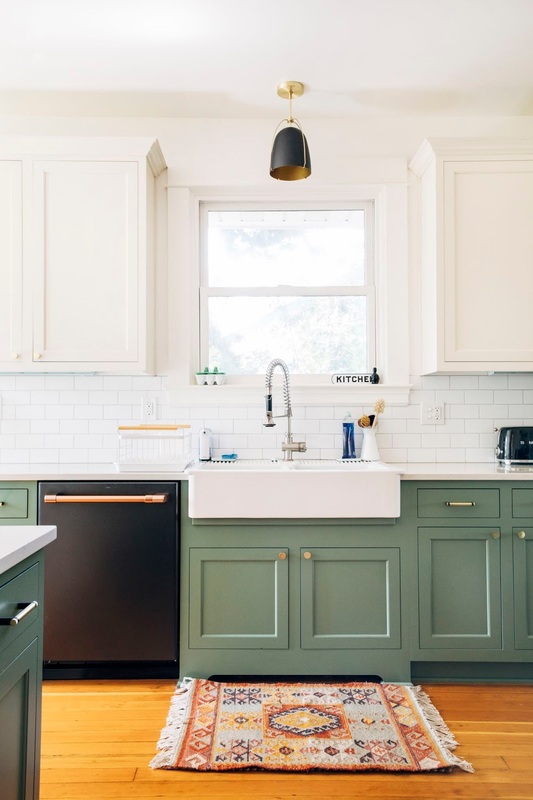 Because real-talk: I've been blogging at Hummingbird High for 8 years, and in that time period, I've lived in three apartments that didn't have a dishwasher — in fact, my current house didn't come with one when I bought it back in 2013! I lived in it for a year without one, until I finally caved and remodeled the kitchen the following year. Because living without a dishwasher flat out sucked, especially as a food blogger. There was so much clean-up involved after each project (not to mention the clean-up for our day-to-day cooking too!) that it took away from the magic of baking, cooking, and blogging. But installing a dishwasher cut down all the clean-up by LITERALLY 90%. Okay, I hope that was enough Behind-The-Scenes for y'all. Next time, I'll be covering recipe development and testing, followed by my photography set-up and equipment, and then a fun little series about the cookbook writing process. What else do you want to learn more about? Drop me a line in the comments and let's make it happen!